It’s once again that time of the year that puts the entire Nigerian music industry on a stand still as we celebrate a major stakeholder and a prolific personality that has over the years occupied a very big space in the history and map of Hip Hop in Nigeria and entire Africa. He is however one of the biggest thing that ever sprung out of the Nigerian Music industry, as today marks the date of his birth, he was Born on September 18, 1975. From all of us at Realhitz.com we say a resounding happy birthday may GOD Bless your new age real Big. 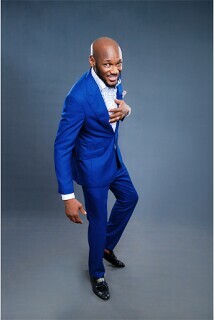 In celebration of this Drop your well wishes to Legend 2baba, and tell us your favourite 2baba Song Ever!